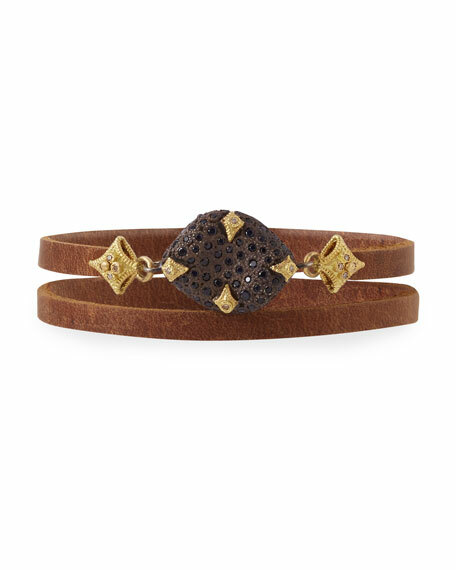 Armenta bracelet from the Old World Collection. 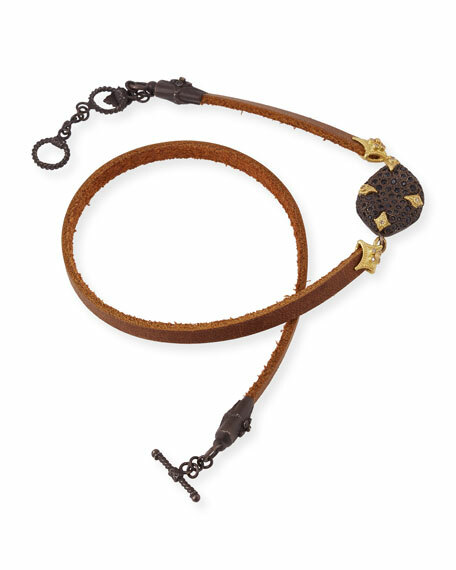 Leather double-wrap cord with blackened sterling silver. 18-karat yellow gold crivelli cross accents. Pavé black sapphire bead station. Toggle clasp with two length settings.